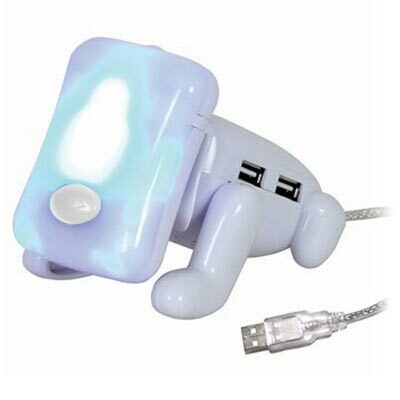 Check out this cool gadget, the USB Smart Dog hub. This cool gadget features a four port USB hub and his head functions as a speaker whilst plugged into your PC. The head is also detachable, and when detached functions as an Am/FM radio. This cool gadget is available to buy online for £9.78 about $20 from Latestbuy.